Sydney City Youth Ballet. Photo by Daniel Asher Smith. “Ballet is unique: It has no written texts or standardised notation. It is a storytelling art passed on from teacher to student.” Jennifer Homans, Apollo’s Angels: A History of Ballet. The Sydney City Youth Ballet (SCYB) was established over 40 years ago by Tanya Pearson, and today, the company is stronger than ever, literally bursting at the seams with young talent. Lucinda Dunn (far left). Photo courtesy of Sydney City Youth Ballet. In January 2015, Lucinda Dunn OAM took the reins as artistic director of SCYB with 40-plus company artists (depending on the season), plus artistic and administration staff, overseeing the annual program of SCYB performances, which now includes domestic tours to regional towns, as well as the annual collaborative season of Together Live with the Sydney Youth Orchestras (SYO) Philharmonic. When Dance Informa paid a visit, the company was busier than ever in rehearsal preparing for the 2018 Together Live, with Act Two of Giselle. The rehearsal was mesmerising as 15-year-old Grace Carroll was put through her paces, coached by Dunn and Danilo Radojevic. Carroll has an ethereal serenity about her, with a calmness and maturity that belies her years. 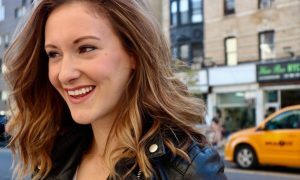 Her technique and poise are impeccable, and she willingly incorporates the refinements that Dunn and Radojevic provide during rehearsal. Sydney City Youth Ballet in ‘Giselle’. Photo by Daniel Asher Smith. Off stage, Carroll is an unassuming schoolgirl in year 10 studying for her NSW School Certificate. 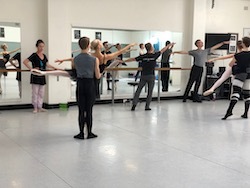 Along with other young company artists, there is quite a workload, juggling the full-time ballet training, the rehearsals for the SCYB seasons, as well as studying for the School Certificate. And where would Carroll like to find herself dancing in the future? “Either at The Royal Ballet or The Australian Ballet,” she says. Dunn has come full circle in her dance career, having trained with Pearson as a youngster before heading to The Royal Ballet School in London, where she overcame significant injuries to become one of the youngest dancers to be accepted into The Australian Ballet at the age of 17. Dunn is the longest serving ballerina in The Australian Ballet after performing with the company for 23 years. Dunn juggles two major roles. Her role includes overseeing the full-time program, choosing the dancers who are accepted into the Academy, overseeing 20-plus faculty, forward planning, as well as looking at variations dancers want to do. Her role includes the annual season of performances, the planning of the repertoire (in this case for Together Live), choosing costumes and planning rehearsals. In terms of future goals, Dunn would like to tour more, so that performances are not just one-off events. 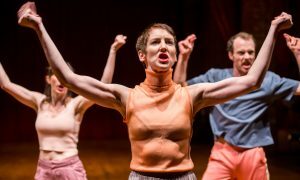 In this way, the dancers face the same challenges as any touring company, needing to settle into a new theatre, a different stage, as well as experiencing the camaraderie on tour. SCYB provides a launching pad for pre-professional artists and can open up real opportunities for company contracts. In 2018, two SCYB company artists were accepted into The Australian Ballet, and many others have gone on to join the world’s leading ballet companies. The week following our interview, SYCB presented Maina Gieulgud’s Giselle Act II as part of an impressive and demanding triple bill at the Concourse Theatre, Chatswood, together with the SYO Philharmonic. The audience was enthralled with Grace‘s artistry and maturity, realising they were witnessing a star in the making. 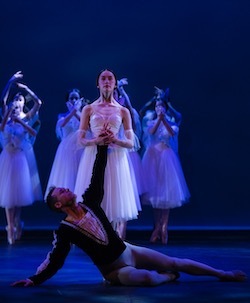 The program also included Paquita, a technical and unforgiving ballet with a stunning Lillian Easterbrook in the title role, as well as the world premiere of Powerhouse, a brand new contemporary ballet choreographed by Lucas Jervies. With young companies such as SCYB and artistic directors such as Dunn, the transfer of ballet artistry and storytelling are certainly in good hands. 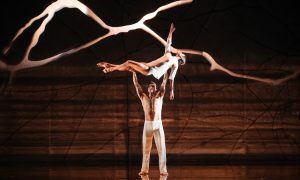 For more information on Sydney City Youth Ballet, visit www.facebook.com/sydneycityyouthballet.